Warner Bros. Interactive has announced that Batman Arkham Origins: Blackgate is making the transfer to home consoles, after originally releasing on PS Vita and 3DS. The console version, dubbed the Delux Edition, will be releasing on the PS3, Xbox 360, Wii U, as well as PC on April 2nd and it will be priced at £15.99. Naturally, the console version will get improved graphics, but it will also get a new hint and map system. 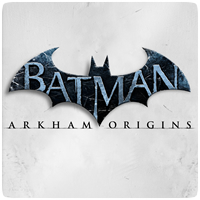 The story itself is set after the events of Batman Arkham Origins, and as you can guess, takes place in Blackgate Prison where the inmates are rioting.